Catering for an event is very much dependent on the event itself and certain factors can determine what type of catering you require. Ultimately for large events it is best to hire a professional catering company to take care of the food. Professional caterers not only take the stress away from preparing large amounts of food but they also have the experience and can give advice in certain areas. 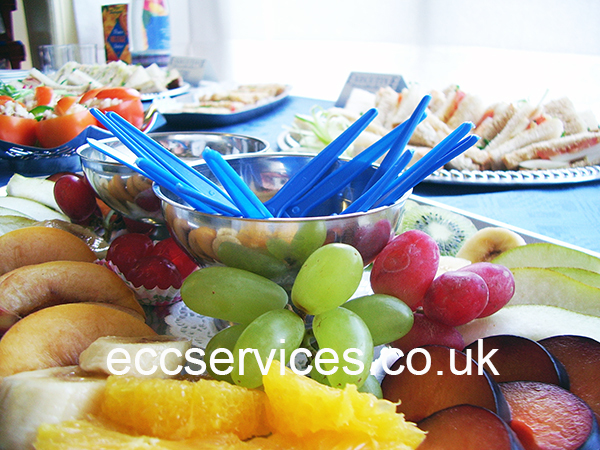 For small events it may be cheaper to take care of the catering yourself, it is still wise however to take note of a few tips. There are several basics to bear in mind when catering for an event. The type of event- it is important not to lose track of the type of event you are catering for. If it is a wedding or a large birthday party then it is best to keep it traditional. Burger stalls are more suited to a fun fair not someone’s big day, unless that is their request of course. A buffet or a hog roast would be ideal for this type of event. The time of the event- this is very important and planning ahead can help the catering be a huge success. If the event is to last all day then be prepared to cater for breakfast, lunch and dinner. Serving burgers at 8am will not be everyone’s idea of sensible catering. Be stocked to serve all types of food and you should be fine. On this note, make sure you have enough food. The time of year- for those wishing to use outdoor catering ideas for indoor events in the winter months, think practically. How many people are going to brave the cold to come and ask for a burger off your barbecue if it is freezing outside? A simple hot buffet would maybe be more practical, barbecues are a really good catering option but are more suited to summer events. The expected audience- will there be children there? How many? Again you need to think practically, there is no use serving kids party food at an event aimed at old people. Sometimes it is best to cater for all types of people, especially vegetarians, it is better to cover your own back. 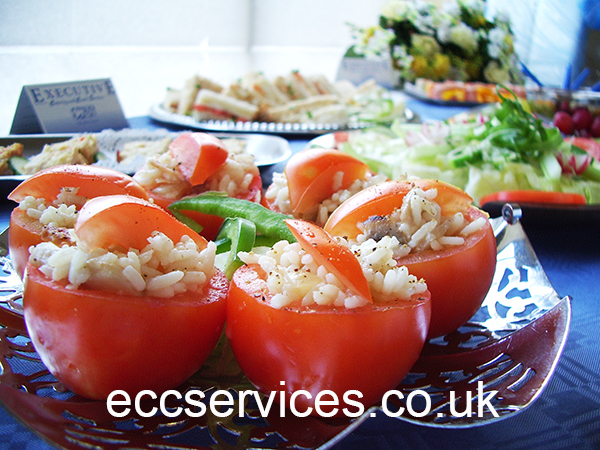 Overall, it is extremely difficult to cater for an event, especially if you are planning to do the catering yourself. For this reason it is advised to seek the help of professional caterers, they will have the experience of catering for all types of events and will be able to help with the factors listed above.